One lucky ticket holder had all six numbers and walks away with a massive £900.00, congratulations to Henry Lewis. 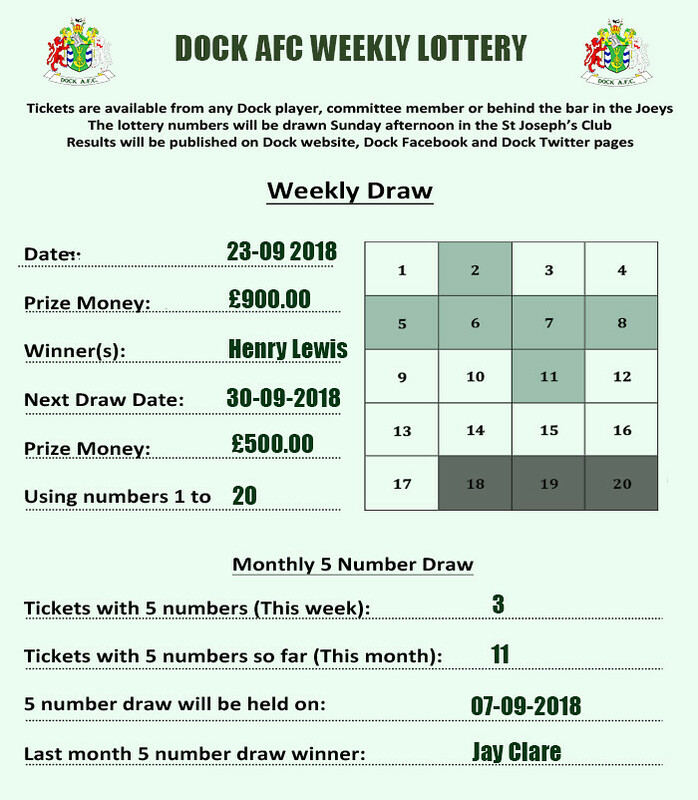 3 tickets had 5 numbers and will be entered in the September 5 number £25.00 draw (Mark Jones / Ron Stading / Tom Wingfield). The other 5 number tickets for September are Henry Lewis (2) / Tom Wingfield (now 2) / Ashleigh Stading / Niamh Molyneux / Iggy McGraa (2) / Dean Nunn. Posted in Weekly Lottery by Chris Stading on September 25, 2018 at 9:44 am.